Are Aviation SMS Software Programs Necessary? Most aviation companies are profit driven. Aviation service providers attempt to provide safe services while providing a return on investment. Many upper-level managers at smaller companies believe that safety managers don't need modern aviation safety management databases to manage aviation safety management systems (SMS) documentation requirements. They may be right. Not every company should buy these SMS tools. combination of point solutions, like safety reporting, auditing and training & quals. Yes, the safety manager could do this for several years without a problem. I've seen it done. When I leave the company, will somebody be able to easily continue the SMS? Will my documentation allow another safety manager to easily learn our SMS data management processes? What level of complexity is the SMS regulator or standards body (IATA, IS-BAO, etc.) expecting? If the company grows, will this "in-house" solution adapt and continue with sustainable processes? What types of SMS performance monitoring reports does the accountable executive need? Which employees need access to the data? How will other managers access this data? What reports do they need? Will other managers find what they need when I'm on vacation? How long do I need to save aviation SMS data? What happens to SMS data when there is an earthquake or fire? Is this custom, in-house solution audit-worthy? 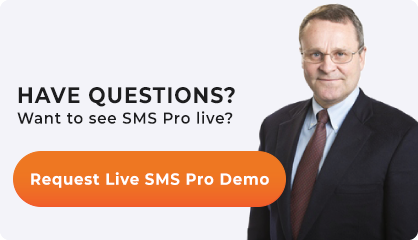 Would the accountable executive be proud to demonstrate the SMS to regulators? Can the accountable executive determine whether safety performance is improving/declining? Where should I store proof of our safety communication activities? SMS training records? Can the accountable executive spot trends in SMS performance? These are some considerations every safety manager must ponder when considering alternatives. Safety manager has no time to manage all SMS documentation requirements using spreadsheets. In these cases, the safety team must determine how to convince upper-level managers that professionally designed software packages save time and help in protecting assets and reduce risk to operational safety performance. But do you really need professionally designed SMS database software to meet requirements? No, you don't. When your company has an excess of cheap, reliable resources, or they simply want to "check the box" and have a paper SMS,then you don't need to invest more money into alternate technologies. What Do Managers Believe about Aviation SMS Requirements? Can be put off until tomorrow. 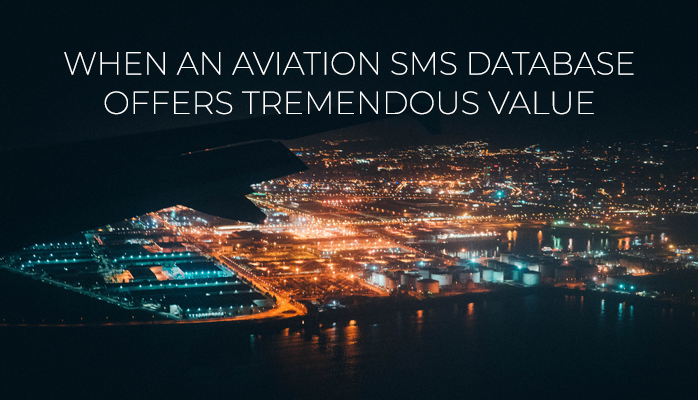 What Are the Real Benefits of Aviation SMS? Not every company will benefit from SMS. Their safety culture is toxic and they will simply be throwing money away when they start working on their SMS implementations. An aviation SMS can change substandard safety cultures, but it can take a long time, or be accomplished very quickly, when you get rid of problem employees. We may (or may not) agree of the benefits derived from an SMS, but what are the benefits of using professionally designed SMS database solutions over doing this task manually, such as with paper and spreadsheets? Do We Need an Aviation SMS Database Program? Historical analysis and empirical evidence indicate that all but the smallest aviation service providers save time and money implementing aviation SMS when they are supported by professionally designed aviation SMS databases. For example, smaller safety teams from companies between 20-200 employees can expect to have an SMS started using an SMS database within two weeks. This is an average time period that I've seen for the past dozen years based on the following timeline for a an aviation service provider implementing an online, web-based SMS database program. Safety manager works on following elements in SMS database in preparation to preparing employees to use system. Review and align classification schemes for risk management processes. Users are added to SMS database, but not yet notified of accounts until safety manager is ready for employees to complete SMS induction (initial SMS) training. Start receiving and managing reported safety issues. SMS activities after the third week are dependent on many variable, but mostly on the maturity of the SMS implementation. Internal email and electronic bulletin boards. I believe the first step in determining whether you need an SMS database is to understand what is required in an SMS. The fastest method to determine this is by conducting a quick gap analysis to determine what is required in the SMS and whether you have tools on hand to manage all the requirements. To facilitate this process, here is a link to get your gap analysis checklist. What Are the Financial Benefits of Aviation SMS Database Programs? Greatly improves reporting timeliness and accuracy. Many aviation service providers have tried to manage SMS regulatory requirements by using existing systems. They have learned that they may be able to manage the SMS data during the first two to three years before feeling the pain. What we have seen is that initially, policies and procedures are documented and stored in the company's document management system, whether that is on the corporate file server or in SharePoint. The company may create a hazard register in MS Excel to document their hazards and risks. About the same time, these aviation service providers may setup a hazard reporting system. It doesn't have to be sophisticated to pass muster. It can be as simple as a paper form that when complete goes into a hazard reporting bin, or you may have a simple web form to capture employee hazard reports. Reports come in and they are typically managed by MS Word and an Excel spreadsheet. Does this sound like you? You may slide by for two to four years, depending on the attentiveness and diligence of your SMS compliance inspectors. And then the problems occur, starting with a finding or multiple findings. What Are Common SMS Regulatory Findings? The most common SMS finding we have seen over the past dozen years is that the operator is not conducting operations according to their SMS manual. The SMS manual is your blueprint - how you plan to do business regarding the management of SMS requirements. Hazards and controls are not monitored for effectiveness. All three of the above findings can be avoided without SMS database software; however, your SMS database has been designed to avoid these audit findings. In order to reduce the growing pains that safety managers must endure, professionally designed aviation safety software simply makes good business sense if your company is growing and needs to secure contracts from government entities or most oil companies. These types of clients need assurance your SMS is alive and well. Easily proving to your prospective clients that your company has a living, breathing SMS is much easier when you can show them at a moment's notice that all requirements are nicely organized and updated. From my conversations with clients, having an SMS database assures accountable executives that SMS activities are not left to chance. Having immediate transparency and oversight of the SMS is only afforded by using an SMS database. From a human resources and budgeting perspective, the safety team can be reduced by 50% when using commercially available aviation SMS software designed specifically to address these SMS regulatory requirements. In addition, this reduced safety team will be able to provide more safety-management-related services than a team twice their size. In conclusion, if you are a small company, you can manage your SMS successfully without an SMS database, You may wish to conduct a cost-benefit analysis to determine any potential cost savings. SMS Pro was designed specifically for the aviation industry. Our passion is to provide quality safety solutions to aviation safety personnel. Originally published July 2015. Last updated November 2018.